Data recovery software have been getting a lot of popularity nowadays only due to one single reason, which is, people are losing their data more frequently than ever. Each one of us have at one point deleted a file mistakenly only to regret later. However, times are different today with the introduction of various different kinds of data recovery software. These kind of software can allow the user to recover their lost files and folders with ease. All types of files can be easily restored using simple solutions. No matter the situation, data recovery software can assist you. 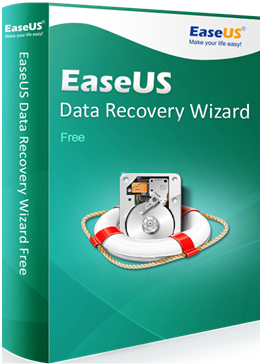 EaseUS free data recovery software has been one of top contenders among all data recovery software. It has been one of the finest software among many people. It offers an interactive interface for the users to use. It is the perfect solution for people who are baffled due to the loss of some important files. It offers recovery from a number of devices including flash drives, external HDD, memory cards, pen drives, media players, MP4 devices etc. No matter how your files was deleted or lost, EaseUS data recovery software can recover lost files from all situations such as hard disk failure, OS failure, corrupted disks, virus attacks, lost partitions etc. With this software in hand, you need not worry about any lost files. In order to use this software, you must first download it from the official website. The free version can be downloaded by any user, however, it only allows for 2 GB of data to be recovered. If you wish to recover larger amount of data, you will have to purchase the other 2 paid versions. Once the software has been installed, all you need is to open it and select a location to search for the lost files. Once the location is selected, the scanning process begins by itself. This is the mode that is initiated as soon as you select the location. This mode is reliable and fast and scans for files almost instantly. All files which were lost recently can be easily found by this mode. This mode is initiated as soon as the quick scan mode results come up. It can be cancelled, if you already recovered your desired file, and if not, you can wait for this mode to end. This takes quite a bit more time than the quick search mode, however, it offers 100% results. As soon as all the results are displayed on the screen, they are ready to be recovered. In order to recover them, all you need to do is select your desired files, and click on the recover button. The software will prompt you to select a location, and that’s it, you will be done in an instant. EaseUS Data recovery software can be your perfect companion in times of need, where your lost files can cost you a lot. Download the software today, and try it for yourself for free!